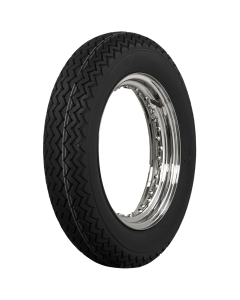 We offer many tire options for restored motorcycles, but many of our tires are also used on custom applications, such as café racers, bobbers, brat bikes, choppers and more! Our tires are built in original molds, so they are truly authentic to the era, and most of our tires are built for motorcycles from 1900 through the 1960’s, but that doesn’t mean you can’t add some old school style to your CB750 or other custom motorcycle. 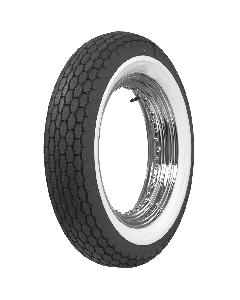 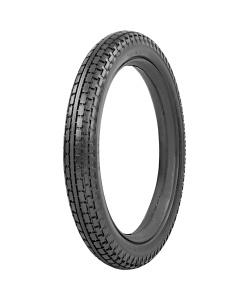 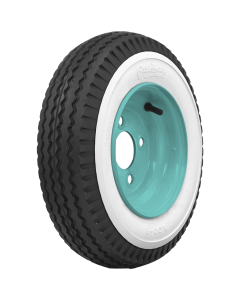 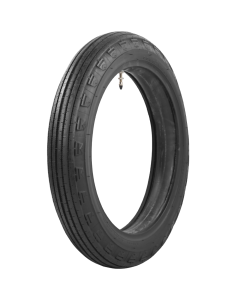 With brands such as Firestone, Phoenix and Coker Tire’s own house brand, Coker Classic, the variety of tire styles and sizes is perfect for a builder who is looking for a unique combination, or a restorer who wants the ultimate authenticity. 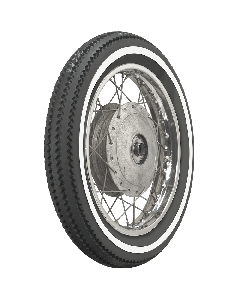 Coker Tire is proud to introduce the Phoenix Cycle line, which fits 1960s and 1970s European and Japanese motorcycles, such as BMW, Honda, Kawasaki and more! 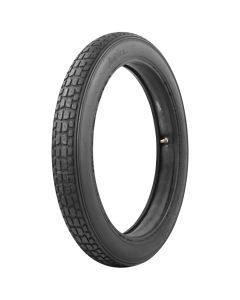 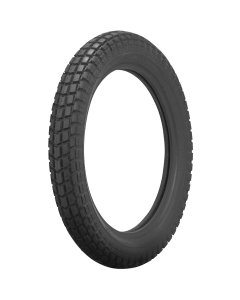 In addition to this line, Coker has expanded its Firestone product line to include two brand new sizes, which are perfect for the front of a custom bike. 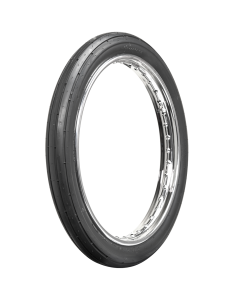 The 2.75-21 and 3.00-21 are narrow, and feature a simple, straight groove tread design, which offers a race-inspired look for any custom motorcycle. 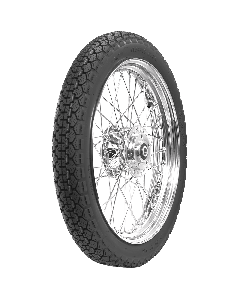 Check out all of the motorcycle offerings to see what is the best fit for your bobber, café racer or all out custom bike!